In 1992, California became the second state in the nation to adopt public charter school legislation. Presently there are about one thousand charter schools throughout the state, each with its own unique program, emphasis, and/or focus. A charter school is a public school created by a group and authorized by an existing local public school board. The "charter" is the educational contract between the charter school and the authorizing district and contains specific goals and operating procedures for the charter school. A charter school is exempt from many laws governing school district except where specifically noted in the law. California public charter schools participate in standardized testing. Charter schools are nonsectarian in all operations and may not charter tuition or discriminate. Provide parents and students with expanded choices in the types of educational opportunities that are available within the public school system. Hold the schools established under this part accountable for meeting measurable pupil outcomes and provide the schools with a method to change from rule-based to performance-based accountability systems. Our charter was authorized by Lake Elsinore Unified School District on June 25, 2009, and opened for approximately two-hundred-forty students on September 14, 2009, in a temporary location. In 2010, Sycamore Academy went through the Western Association of Schools and Colleges (WASC) accreditation process and gained full accreditation for the K-6 program. 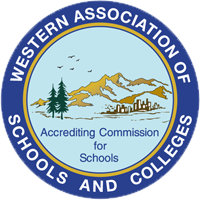 Sycamore Academy has renewed its WASC accreditation once and will be participating in the self-study and renewal accreditation process again during the 2018-2019 school year. On October 10th, 2013, the Lake Elsinore Unified School District voted to approve the renewal of Sycamore Academy of Science and Cultural Arts for another five-year term with the expansion to 8th grade. Sycamore Academy added 7th grade in the 2014-2015 school year and 8th grade in the 2015-2016 school year. The faculty, staff and Governing Board of Sycamore Academy have worked diligently over the last several years to build financial stability for the school, even with the serious economic crisis that has plagued K-12 education. 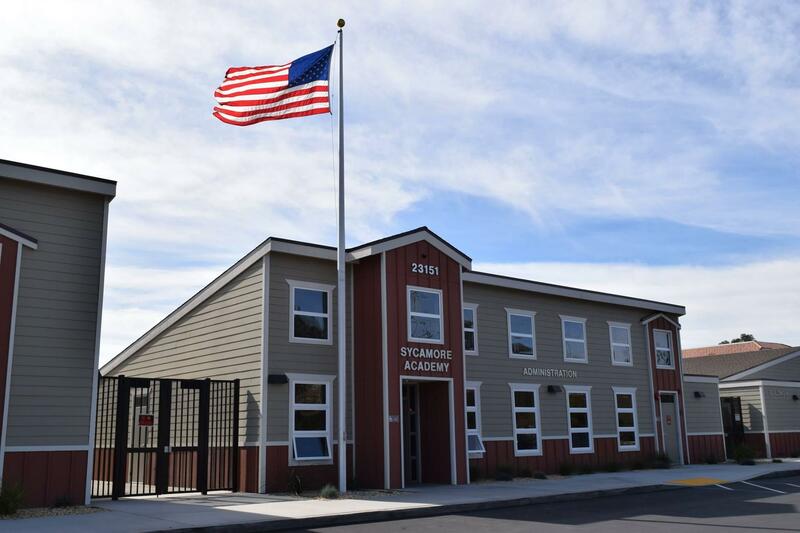 The Ronald Reagan Charter School Alliance, the governing board for Sycamore Academy, located property in 2014 and was approved for $9.4million in revenue bonds to purchase the property and build the school's permanent home. Students were welcomed to the new site in September of 2015. In 2015, Sycamore Academy requested a material revision of the charter in order to add a HomeStudy program and a Transitional Kindergarten program to their operations. Lake Elsinore Unified School District approved both revisions opening access for additional students to participate in the Sycamore program. In 2018, Sycamore Academy submitted a petition for renewal to the Lake Elsinore Unified School District and was approved for another five-year term, through June 30, 2024. In 2018, San Bernardino County Board of Education approved Sycamore Academy's charter petition and was given the green light to serve families in the Chino Valley beginning in the 2019-2020 school year. Chino Valley Unified School District graciously provided a Prop.39 facility for Sycamore Academy and offered use of a school site facility located at 15650 Pipeline Ave. Chino Hills, CA.